O/o Chief Engineer (PHE), Water, Assam. 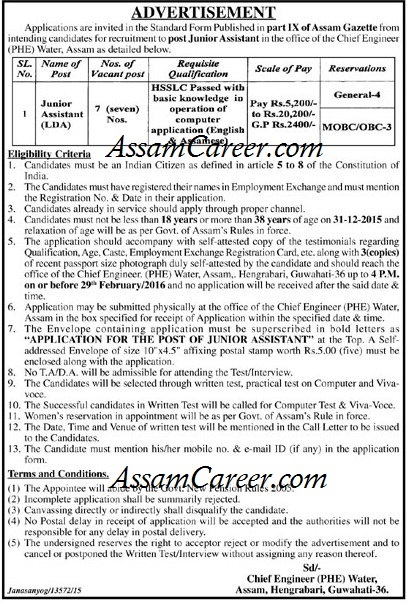 Applications are invited in the Standard Form published in part IX of Assam Gazette from intending candidates for filling up of the following posts under the office of the Chief Engineer (PHE), Water, Assam. Age: 18 to 38 years as on 31-12-2015. How to apply: Pl check the following image for details.